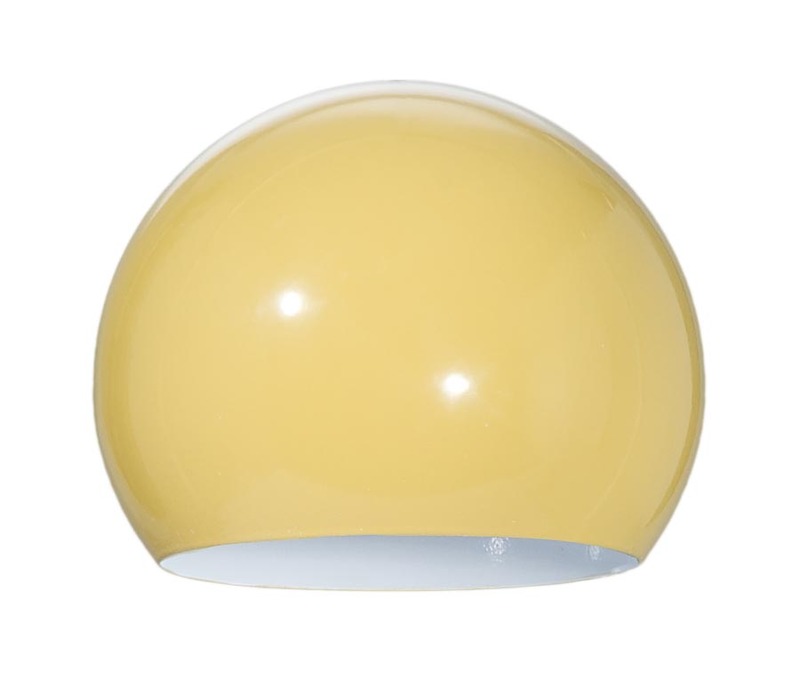 4.75" Dia., Harvest Gold Color Steel, Modern "Eyeball" Shaped Light Shade with White Enamel Inside Finish and 1/8IP slip (3/8" dia.) center hole. Eyeball shades are a perfect compliment to many custom Mid-Century Modern designs in table, pendant, and floor lighting. Harvest gold color enamel steel shades are of a medium gauge that will not easily dent or bend.